Have been reading twilight these days and loving it!! Slogging on the computer and then reading a book can be torture to the eyes, so I make it a point not to read too much in one sitting. I have a small brown paper chip to keep between the pages so that I do not miss the page. 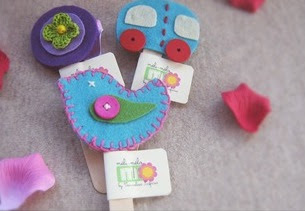 Since I did not want to spend for a bookmark, I searched the net and found some novel ideas to craft out a book mark for my self. 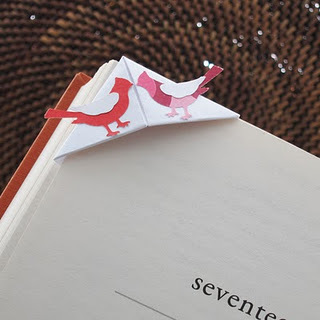 :)) i can use this book mark for a hair band as well but i am not sure if it will be so gentle with the almost worn out pages of my book. 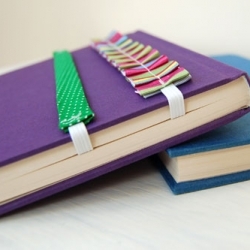 The origami book mark is unusual, have never seen something like this, it seems to be very easy to use and make.